Sam Baldock and Jack Collison struck early in the second half as West Ham won 2-0 at Hull to claim their fifth away victory of the season. Team news for Saturday afternoon’s Championship clash between Hull and West Ham at the KC Stadium. Peter Beagrie says Billy Sharp has proved that there are still role models in modern football. Harry Redknapp has revealed that Tottenham paid an inflated fee for Scott Parker in order to keep Jake Livermore at White Hart Lane. League Two side AFC Wimbledon are hoping to extend West Ham defender Callum McNaughton’s loan spell at Kingsmeadow. Sam Allardyce brushed off the boos after West Ham’s draw with Bristol City, whose boss Derek McInnes thought it was a good point. West Ham lost further ground to Championship leaders Southampton after a goalless draw against lowly Bristol City at Upton Park. Carlos Tevez’s representative Kia Joorabchian claims that the Argentine would be willing to stay in the Premier League. Gillingham boss Andy Hessenthaler says no decision has been made about the futures of on-loan duo Jo Kuffour and Frank Nouble. Striker Robert Hall has been recalled by West Ham from his loan spell at Oxford United. Team news ahead of Tuesday evening’s Championship clash between West Ham and Bristol City at Upton Park. Former Liverpool, Bolton and Blackburn forward El Hadji Diouf has signed a three-month deal with Championship outfit Doncaster. Sam Allardyce labelled his West Ham side great entertainers after a thrilling 3-2 win over managerless Leicester. Sam Baldock scored twice as West Ham boosted their promotion bid and left managerless Leicester’s in tatters with a 3-2 win at Upton Park. West Ham United manager Sam Allardyce has confirmed he will not be signing El Hadji Diouf. Team news ahead of Saturday’s Championship clash between West Ham United and Leicester City at Upton Park. West Ham manager Sam Allardyce is expecting a difficult game against Leicester following Sven Goran Eriksson’s departure as Foxes boss. West Ham defender Joey O’Brien is hoping the club can continue their run to the top of the Championship table. Sam Allardyce praised the tactical acumen of his West Ham side as they managed to nullify the Brighton threat and claim a 1-0 win. Kevin Nolan fired a first-half winner for West Ham as the Hammers climbed up to second in the Championship with a 1-0 victory at Brighton. Brighton v West Ham live! Follow skysports.com’s live minute-by-minute commentary of all the action from the Championship. Posted in SkySports NewsComments Off on Brighton v West Ham live! Sam Allardyce will assess Robert Green’s recovery from surgery before deciding whether to extend Manuel Almunia’s loan at West Ham. Team news ahead of Monday night’s Championship clash between Brighton and West Ham at the Amex Stadium (kick-off 7.45pm). West Ham boss Sam Allardyce has confirmed he is considering signing El Hadji Diouf after inviting the Senegal attacker for a trial. 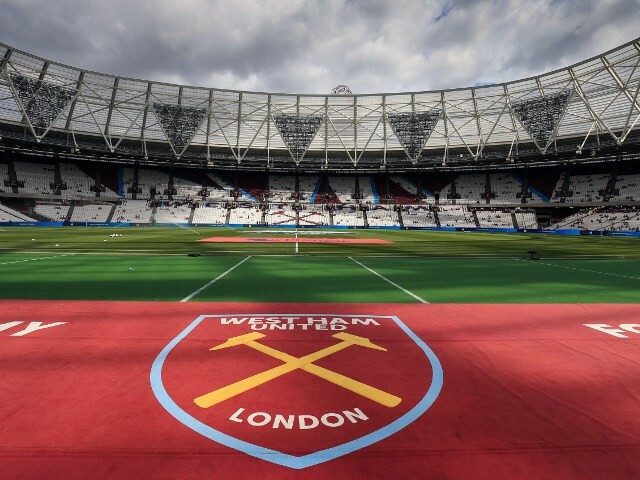 Tottenham insist they did not complain to the European Commission over West Ham’s bid to move to the Olympic Stadium. As Reading prepare to face Southampton, Peter Beagrie looks at how both clubs have been revitalised.